Potteries founder Michael Edwards has reached a huge milestone this week, celebrating his 60th birthday on 3rd June. 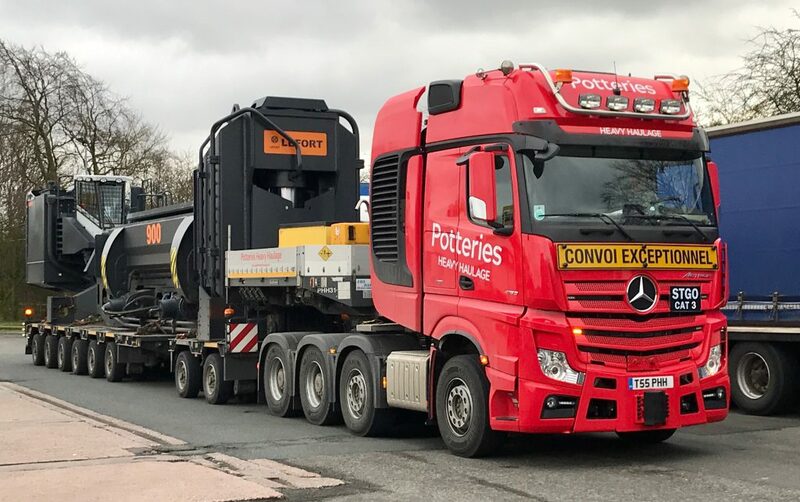 Potteries Heavy Haulage was founded by Michael and his son Jonathon and as a special present for his father, Jonathon announced that the company had ordered a brand-new Mercedes Benz 250t Actros SLT tractor unit to celebrate his father’s love of being on the road. Ever since establishing Potteries, Michael has always been hands on within the company, often taking to the road himself to deliver cargo to every corner of Europe. The new addition to the Potteries fleet arrived in January, and Michael still loves taking it out on the road!